The neti pot is designed to gently rinse the nasal passages and sinuses, keeping the mucous membranes clean, moist and healthy. This simple cleansing technique offers natural support for clear breathing and sinus health. Using the specially designed neti pot, a saline solution of warm purified water and sea salt, equal to the normal saline of tears, is poured into one nostril and drains out through the other. 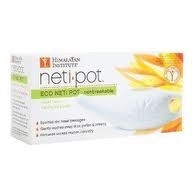 Detailed instructions are included with purchase of neti pot. It is not recommended to use the neti pot if a sinus infection is suspected. Always use purified water and therapeutic grade salt for neti cleansing. 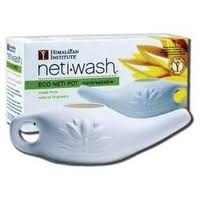 Neti rinsing is not a substitute for medical treatment. 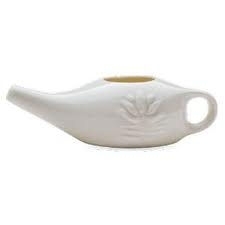 Consult a health care provider if you have concerns about the use of a neti pot.